Giant burgers , steaks , fillets , cockerels on the spit , and Texan specialties from neighboring Mexico , nachos and burritos . Dishes of the highest quality in a spectacular , for a different way to spend your free time . 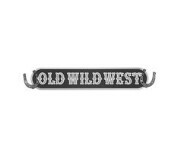 Old Wild West is the ideal place for evenings of fun : a perfect blend of good food and original layout can attract the younger and fashionable , families and groups of friends . Located inside the shopping center Valecenter .